The movies of Joel and Ethan Coen inspire an almost fanatical urge among film fans to start arguing. Earlier this year, comedian Paul Rust did an emoji ranking of the Coens that ignited a Twitter battle over whether No Country for Old Men, The Big Lebowski, or Fargo is their best. Every so often someone will make a controversial case for, say, Intolerable Cruelty. The Ballad of Buster Scruggs, their new film, which arrived on Netflix on November 16, offers the opportunity to argue on a micro level. It's an anthology film made up of six stories that don't intersect, though they're all Westerns and are all, in some way or another, about death. As for their quality: Your mileage may vary. Scruggs is sure to provoke years of debates. Which segment is the best? 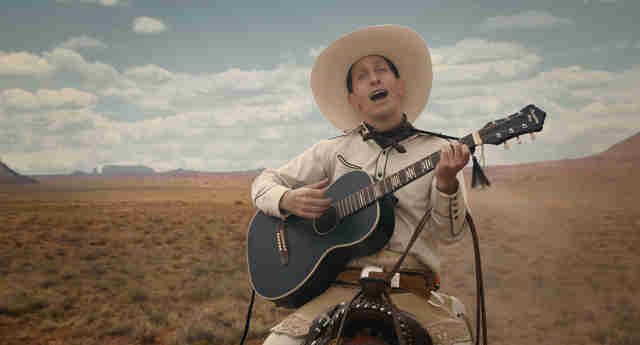 Maybe it's the opener, a goofy musical starring Tim Blake Nelson as Buster Scruggs himself, a country crooner/cocky sharpshooter. Or perhaps you like -- as I do -- the pitch-black "Meal Ticket," with Liam Neeson as a ruthless peddler who makes his living trotting out an orator with no arms and legs (Harry Melling, a.k.a. Dudley from the Harry Potter movies). Then again, you might respond best to the longest entry, "The Gal Who Got Rattled," which mixes romance and perverse tragedy on the Oregon trail. A popular choice (based on conversations I've had) has been "All Gold Canyon," with Tom Waits as an ornery but determined miner. That's the only one in which the hero survives. The format presents some confusion. This is on Netflix, and it's episodic, but it's not a TV show? Yes, that's right. Though initially there were whispers that the Coens were working on a series for the streaming service, they now maintain it was always a little more confusing than that. These mini-sagas are about American myth-making -- good and bad -- and how bleak the project can be, with the connective conceit that they're all purportedly from a book of short stories titled The Ballad of Buster Scruggs: And Other Tales of the American Frontier. Each chapter begins with a color plate, illustrating a scene that's to come. If that sounds like pastiche, well, it is. Scruggs riffs on traditions, starting in winking fashion before growing steadily more grim. It also means that the Coens engage in some tropes without refuting them. All Native American characters are one-dimensional, scalping savages, faceless extras in a white man or woman's story. It's an unfortunate distraction, especially in something as elegiac as "The Gal Who Got Rattled," about a young woman (Zoe Kazan) who gains a modicum of independence only to be felled by her own fear. "We thought: This character dies in this story, that one dies in that story," the director said. "Maybe in this one they are all dead?" "The Mortal Remains" strays from the straightforward parable format of the other entries, and though it's not the only part of Buster Scruggs to deal in fantasy, it's the most elusive. It begins with an unlikely group of travelers in a stagecoach: A pious, snotty woman (Tyne Daly); a libidinous trapper (Chelcie Ross); and a gambling Frenchman (Saul Rubinek). 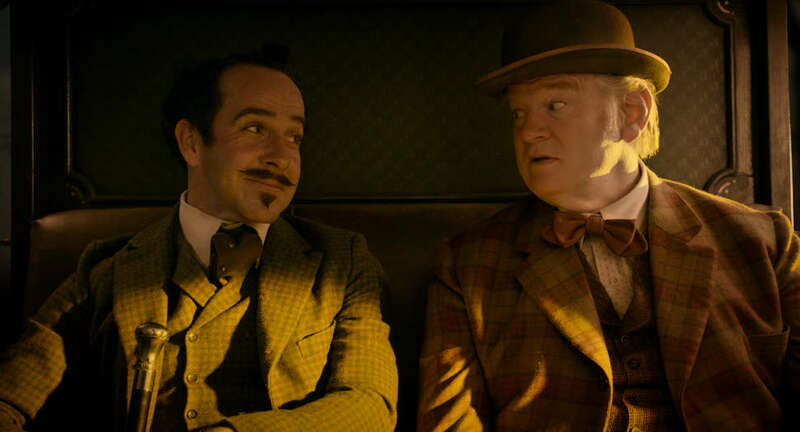 Facing them are a dapper Irishman (Brendan Gleeson) and Englishman (Jonjo O'Neill). As the passengers share their histories on the way to a place known as Fort Morgan, their conversation becomes about the nature of humanity. As the sun sets, the coach is shrouded in an ominous dark blue that brings with it an unmistakable sense of dread. Eventually, the Irishman and the Englishman reveal their mission: They're "reapers" or "harvesters of souls." The passengers take this to mean "bounty hunters," but clearly their duty is more metaphysical than that. The coachman, shrouded in black, doesn't stop -- that is, until he gets to their lodging for the night. It's at a midpoint; purgatory, if you will. The eternal chilliness of that ending pairs curiously with the first installment, where the cocky Buster meets his end at the hands of an upstart sharpshooter and gains literal angel wings, singing his way to heaven. (Another parallel between those two: A Frenchman. There's a similar looking one played by David Krumholtz at the saloon card table with Buster, and the Coens reportedly said in a Q&A they wanted to cast the same actor for both parts.) Ultimately, The Ballad of Buster Scruggs delivers no overarching theory about what happens when we die, but it's certain that we all do, and it often ain't pretty. Sure, it's something of a cop-out to argue that vague agnosticism is the film's guiding principle, but it is difficult to discuss Buster Scruggs in concise fashion. All the bits have merits, and most have some nagging flaws -- the presence of James Franco is unfortunate, for instance. But while you may be tempted to jump ahead or skip around, the way you might for a season of, say, Black Mirror, don't. Let the Coens take you on funny, yet incredibly depressing, journey through a vicious land.